When it comes to growing your business, people are everything, be they staff, customers, or the community surrounding your brand. 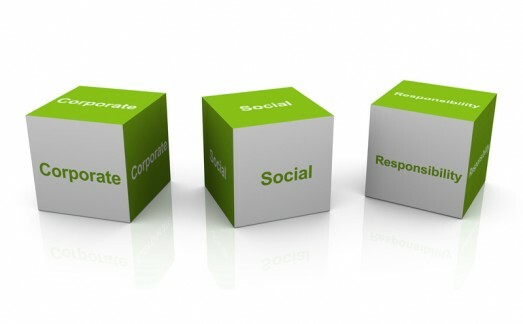 Investment into product development, service delivery, marketing and internal training are all pretty much standard items when it comes to driving the business forward, but increasingly, there is another and potentially more impactful channel that brands and businesses are using to garner awareness, support and loyalty from their ‘people/customer’ – Corporate Social Investment (CSI). Brands who deploy cohesive corporate social investment strategies and that are actively involved in making a difference in some way, shape or form, are the ones benefitting from a new currency, called consciousness – not just here in South Africa, but across the globe. CSI is becoming an imperative for company image, especially in a world populated by the buying power of millennials who can spot ‘fake’ a mile away. As a result, the perception of doing good, has given way to the actual. This requires well-thought out strategies that help the business to dynamically engage and improve the lives of the communities in which their staff/customers/fans live. Doing so and getting it right, assists business in strengthening South Africa’s overall economy. There are many ways to reach out to communities. Donations are of course a good start, but with little knowledge of where these often sporadic bursts of cash go or the impact they actually have, the desired outcome is often missed by both sides of the equation – the community needing the good and the corporate trying to do the good. This tends to leave behind the opposite of the desired effect often causing a negative and jaded opinion. When considering a CSI ‘campaign’, it is important to note that corporate social investment is just that, an investment in something, which will yield returns but will take time to realise. CSI should be a long-term approach not a quick fix, for the sake of column inches or a post on a social media channel that is here today and gone tomorrow. Yet publicising the good news can and does, have impactful benefits for both the giving and the receiving parties. Starting at home, internal audiences are key ambassadors for spreading the word while on the ground, advocates come from the communities themselves. Linking both together is the growing influence of the digi-sphere that despite high data tariffs and connectivity issues, continues to be a place where audiences go to lap up the ‘good news’ that is essentially happening. Beyond telling audiences about what you are doing, there is a shift towards the practical too, with many corporations including not only employee volunteers in their community days, but their clients too. The sense of ‘community’ is also extended beyond the day or a specific action, as the Internet and the ubiquitous mobile phone now facilitate a slew of communication tools that can share memories and continue the dialogue with real time feedback and engagement. Further, there are also applications that can monitor and evaluate not only corporate and community good, but how the individuals involved in the doing, rate. I believe that CSI is a living and breathing organism that will continue to morph in its relevance to not only corporate capital but will define a new currency – that of conscious transactional wellbeing. More than that, I see a time where instead of employers looking up how a prospective employee portrays themselves on their social media channels, it will be their ‘giving good’ index that will be a reflection of who they are and the value they will be able to bring to the company and its communities).